A window to the Tarkine. 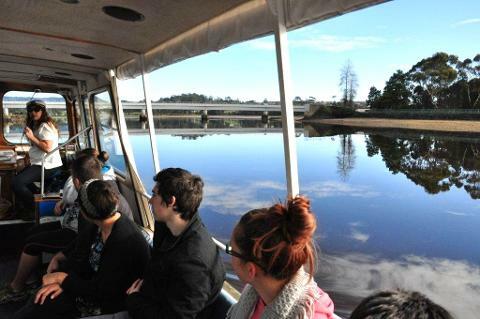 Arthur River is Tasmania's westernmost town and is known as "The Edge of the World". The Tarkine Wilderness, consuming the entire northwest portion of Tasmania, is a glimpse back to the time of the Gondwana supercontinent. Towering eucalypt forests full of ancient trees dominate the landscape, only to be broken up by button grass plains and rushing rivers. 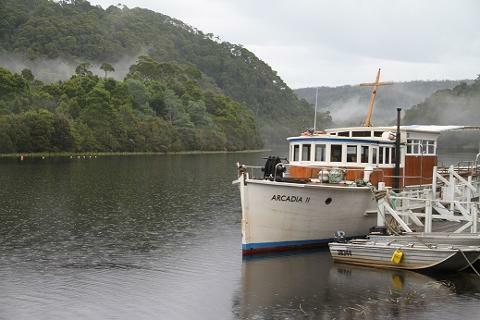 It's wonderfully wild and rugged, and truly Tasmanian. Deep in the northwest reaches of the island you'll find the Sumac Lookout towering over the Arthur River. You'll pass over the Kanunnah Bridge where you can stop to feel the might of the Arthur as it carves its way through blackwood forest. In fact, they say these blackwoods are some of the largest on Earth. Just after the bridge, the dirt road climbs to the lookout. You'll be greeted by a large carpark and a massive wooden sign to let you know you've arrived. The lookout features a sturdy wooden rail and the trees are cut back to give you uninterrupted views of the valley and river below. Peer into the forest to see if you can spot colourful moss growing on trees and lichen covering rocks. Look to your right to find towering eucalyptus trees showing you the path of an ancient fire that tore through the landscape in the distant past. The river is surrounded by rainforest full of myrtle and sassafras while blackwoods dominate the banks. It's quite a sight to behold and well worth the trip up to the northwest. You'll find the lookout on the southwest side of the C218 loop around Trowutta. 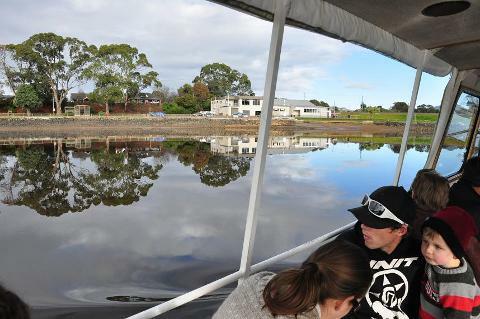 The nearest city is Devonport, which sits 167 kilometres away. The drive takes about 2 hours. Launceston is 267 kilometres to the east and that drive takes 3 hours and 15 minutes. 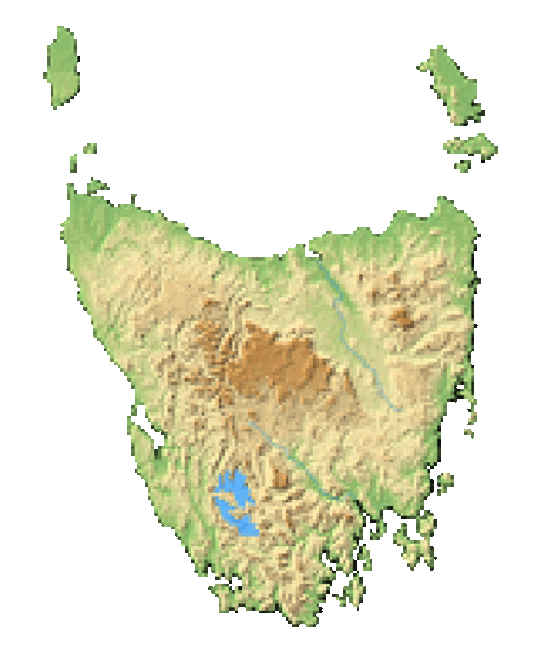 Hobart is clear across Tasmania sitting 446 kilometres away to the southeast. The drive from Tasmania's biggest city is 5.5 hours. Driving in the northwest is rather remote and can take place on dirt roads. Always check that you have a spare tire and provision for an overnight sleep in your car if you happen to break down. Facilities are few and far between on the northwest coast. Many towns feature just one petrol station that may close around 7 PM. Be sure to be well stocked with food, water and fuel. Weather changes quite rapidly and the area is known for rain. Pack sturdy footwear and warm clothing that is good against precipitation. These cottage accommodations are located throughout the area in Smithton.